The most popular TAP bag for building custom boards, this TAP Production Bundle means you can press more than one board during a glue-up session. You only need one pump, so maximize your production time and do 3 at once! The Thin Air Press 20x70” bag is designed for laminating all the larger custom skateboards such as drop decks. 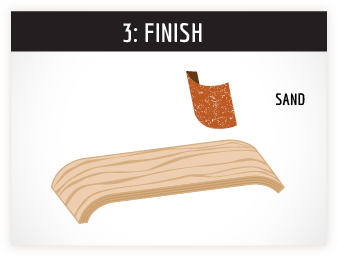 Use this for any skateboard using our uncut veneer sheets, including our smallest uncut Street Deck veneers. These bags are to be re-used many times and with a little care and maintenance, can last for hundreds of pressings. • Three 20x70” vinyl vacuum bags with a seal and a one-way valve. The valve can be positioned in the center (for most wood projects) or off to the side for wet resin (epoxy) pressings. Please specify your choice when ordering. 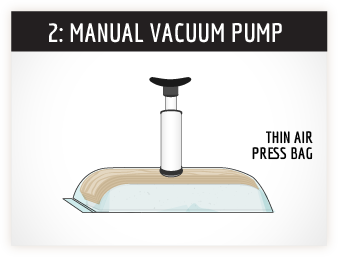 • a Thin Air Press Super Pump! Same low-volume high-pressure manual vacuum hand pump as our smaller kits, but this larger version draws more than twice the air. With more than one TAP bag, you can press 3 boards in one session, just set aside the pressed board and go on to the next build. 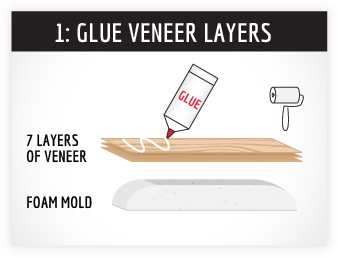 Remember to check and re-check the seals on the boards that are done, make sure no gaps have opened in the seal tape. Maintain the pump with plain water, or a light spray of oil to keep the slide moving freely.